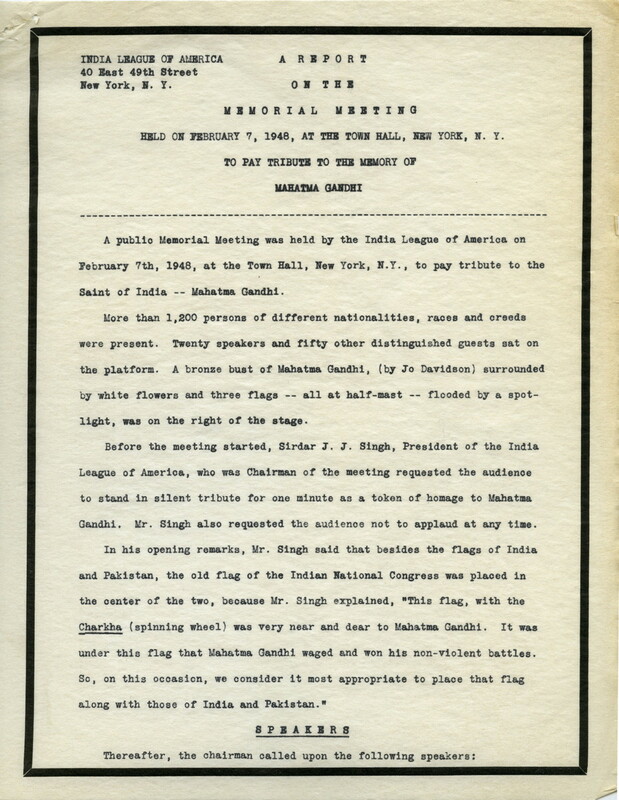 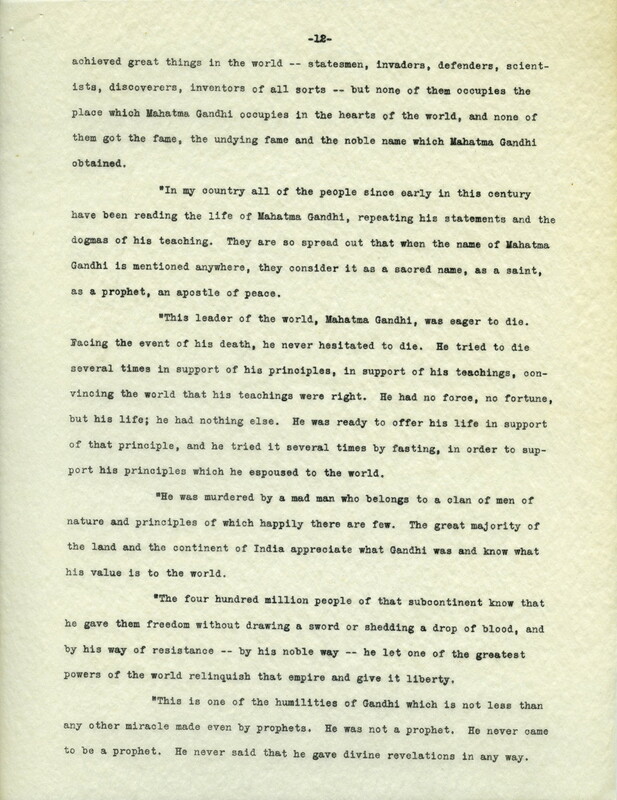 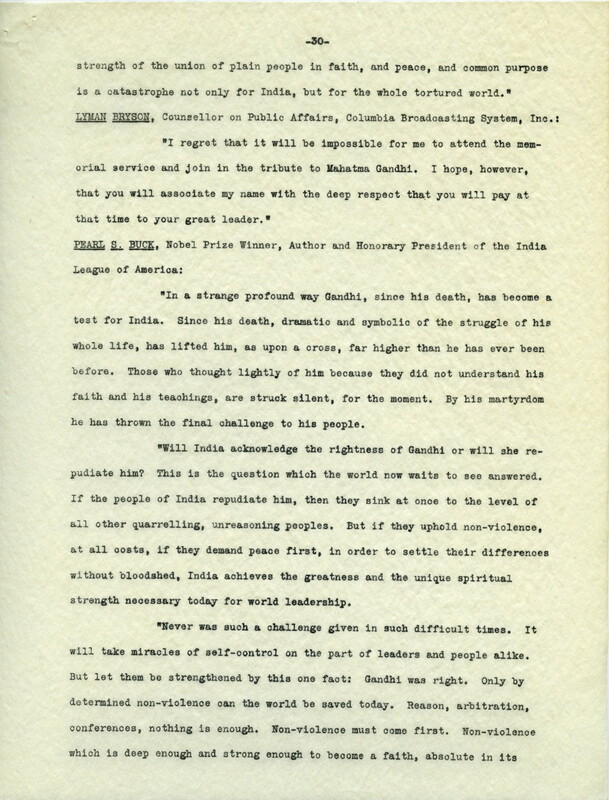 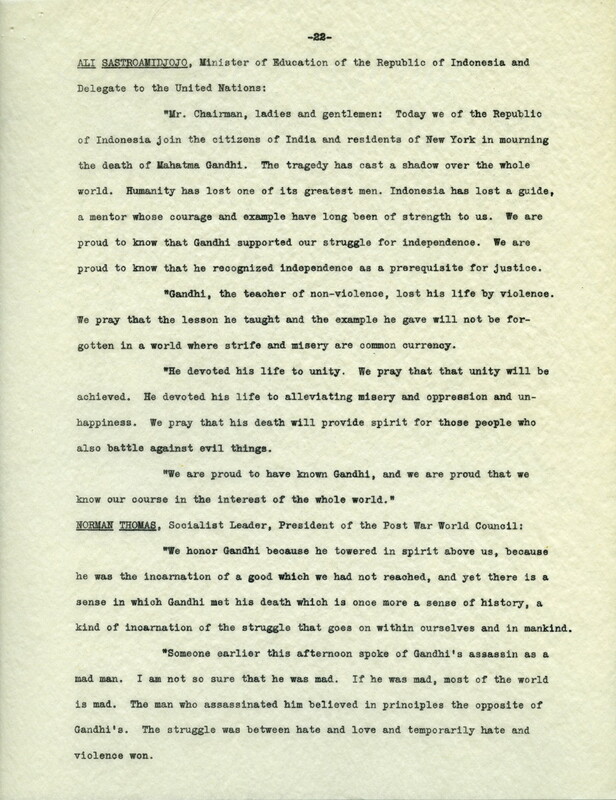 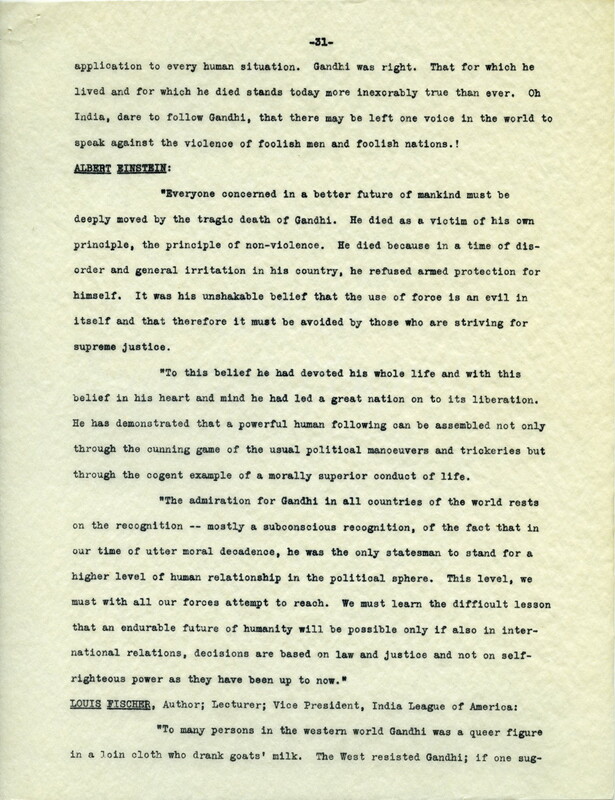 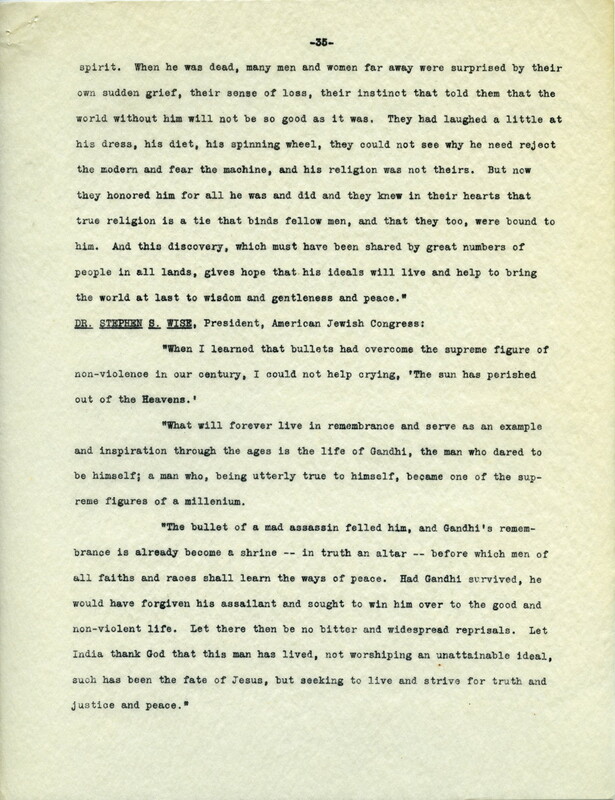 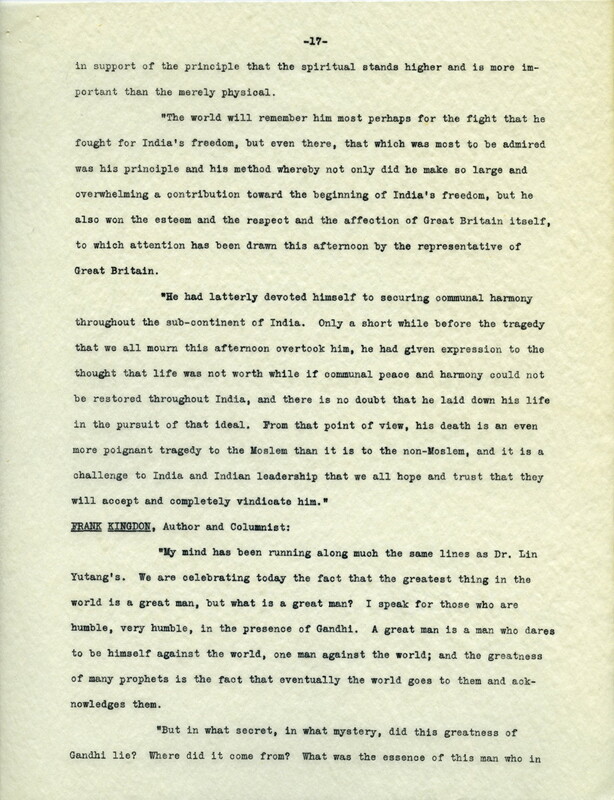 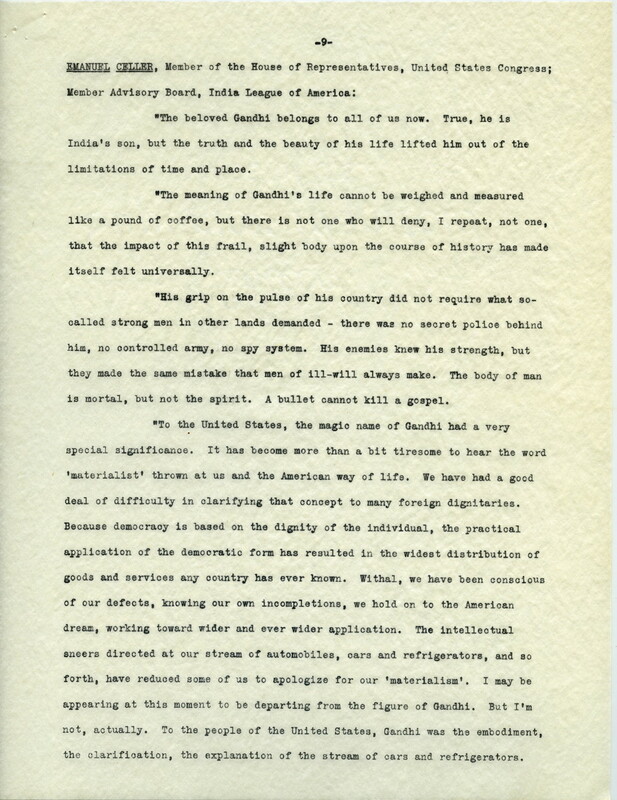 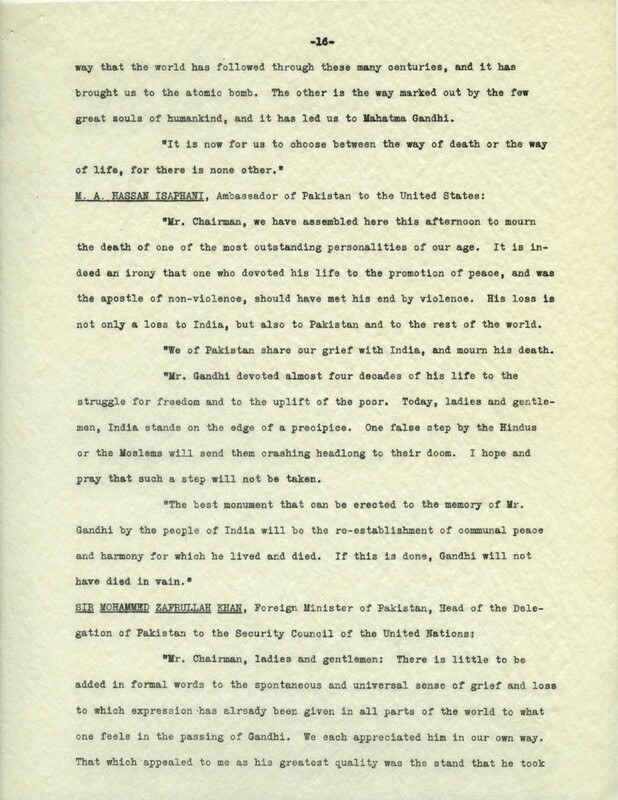 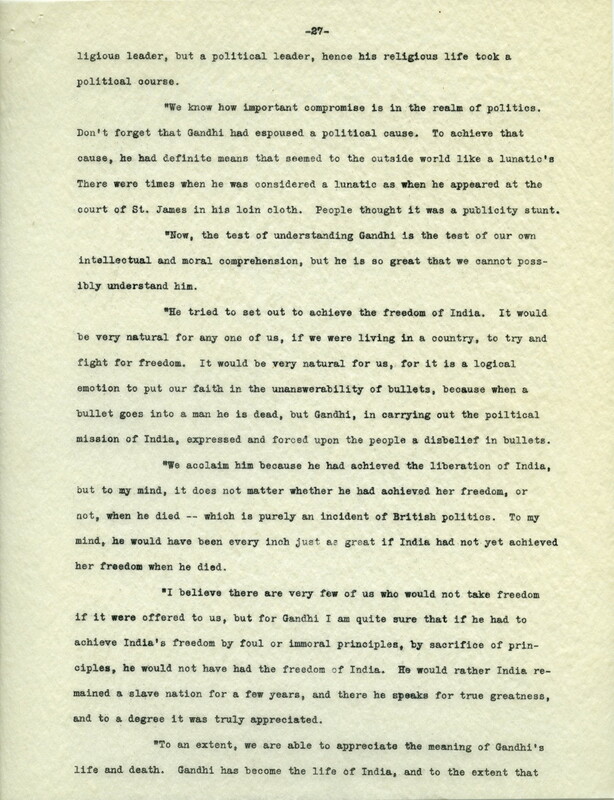 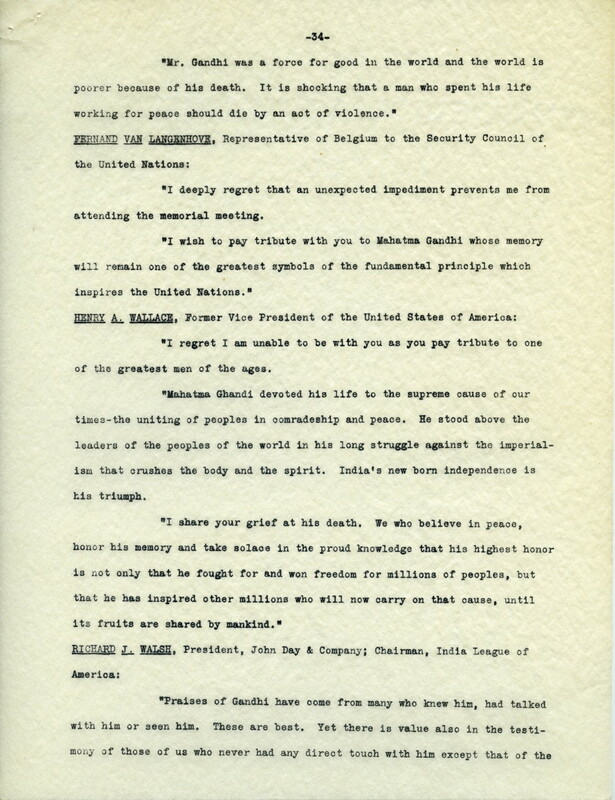 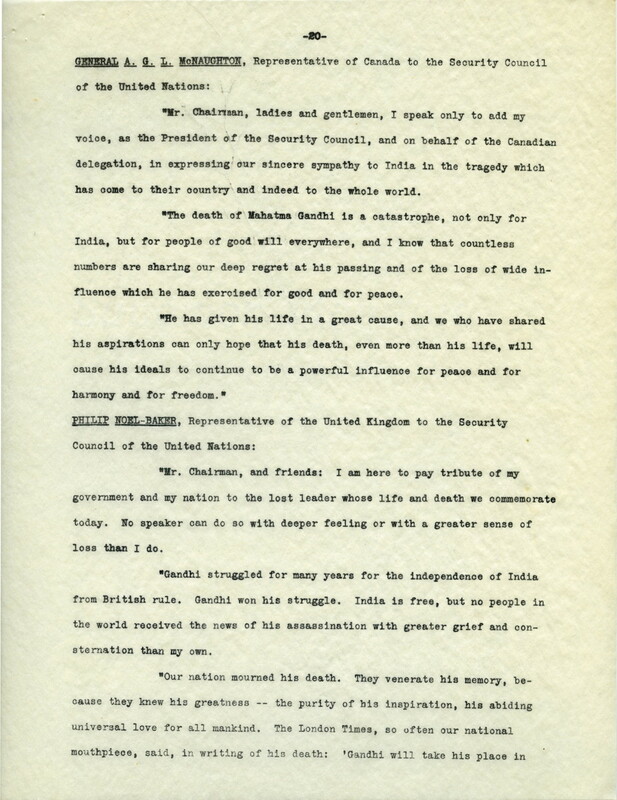 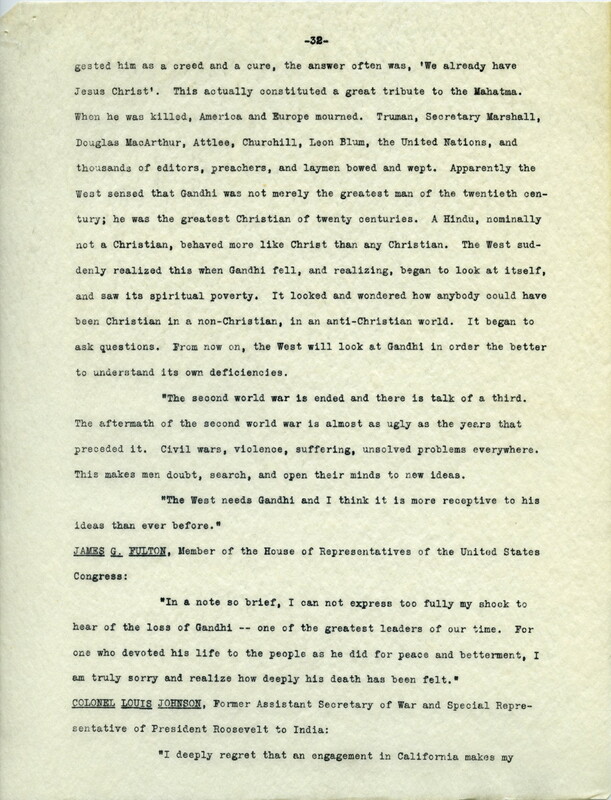 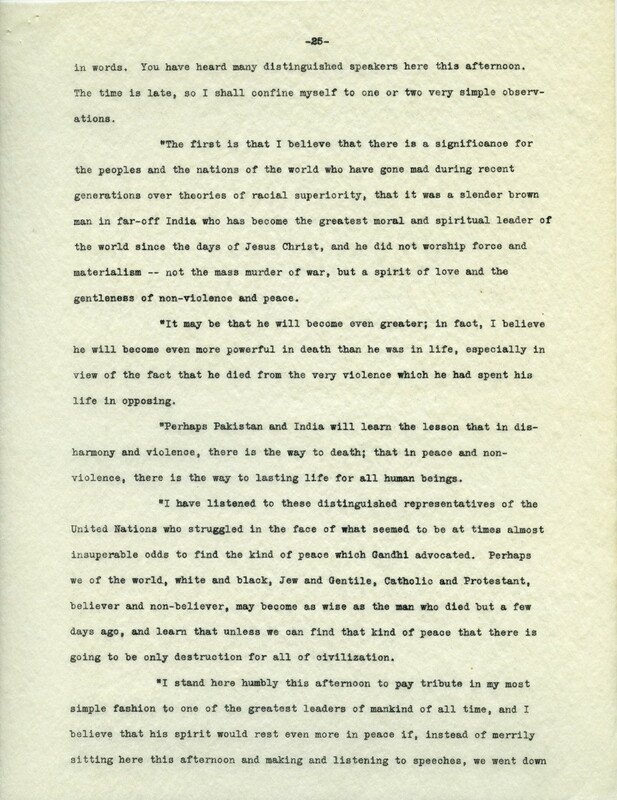 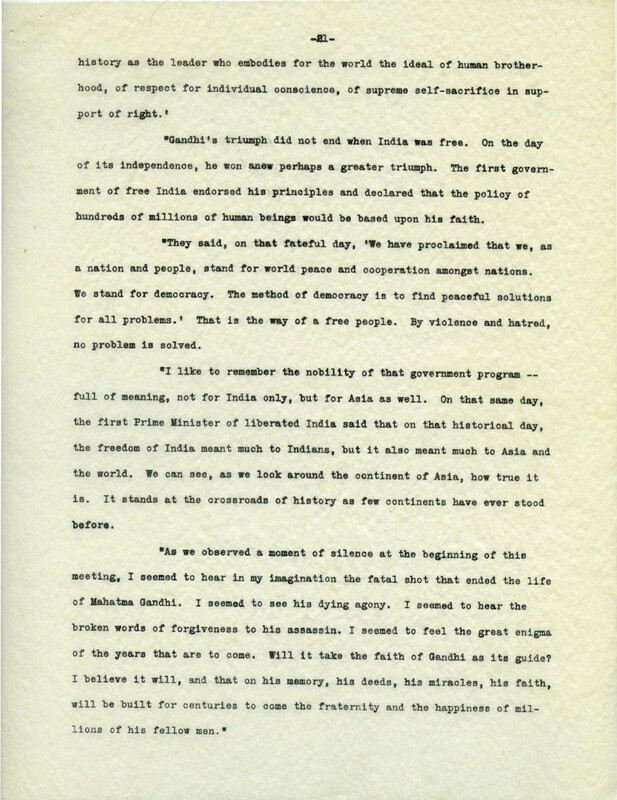 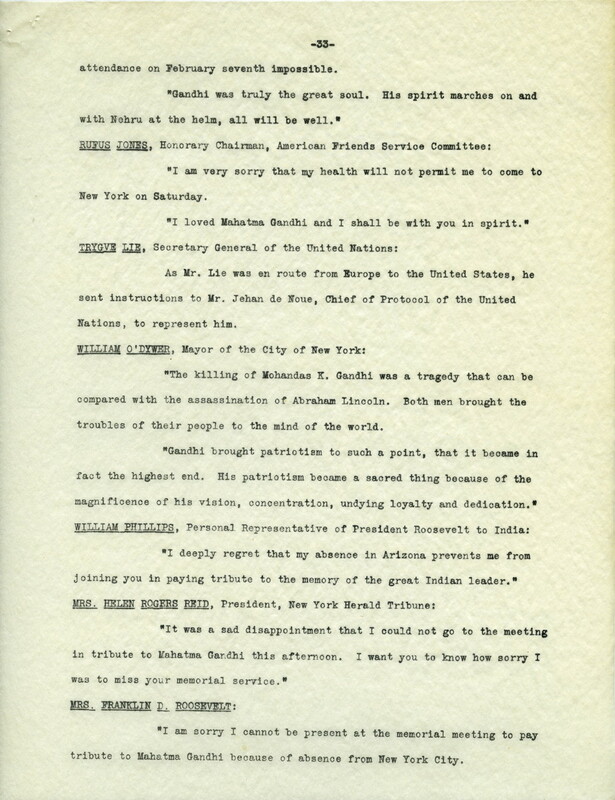 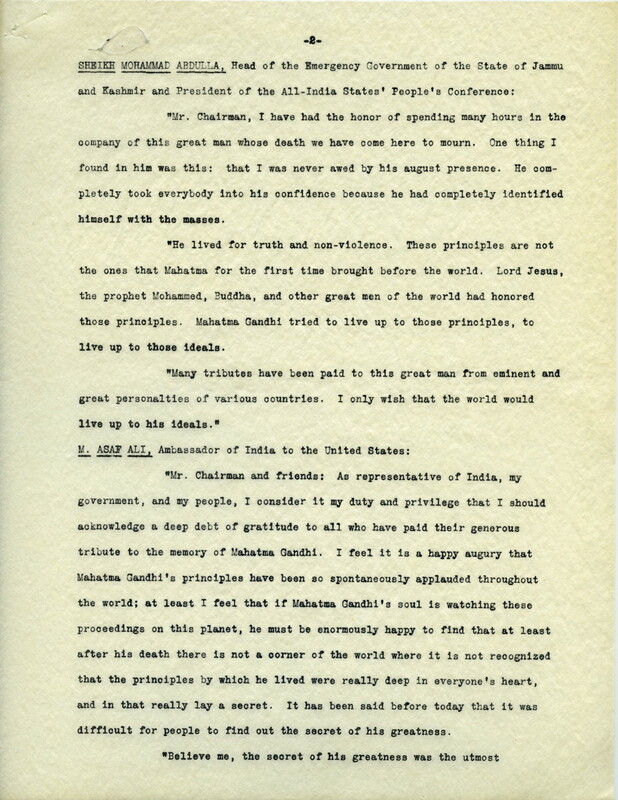 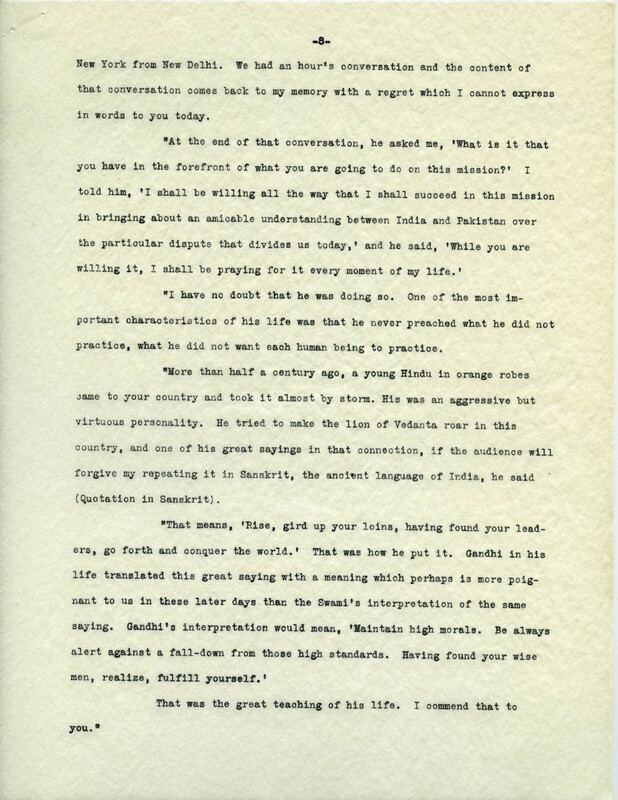 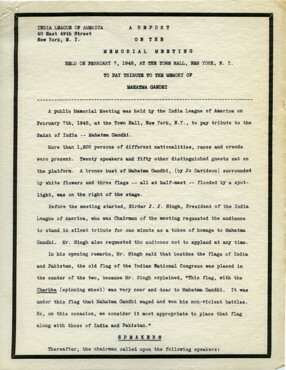 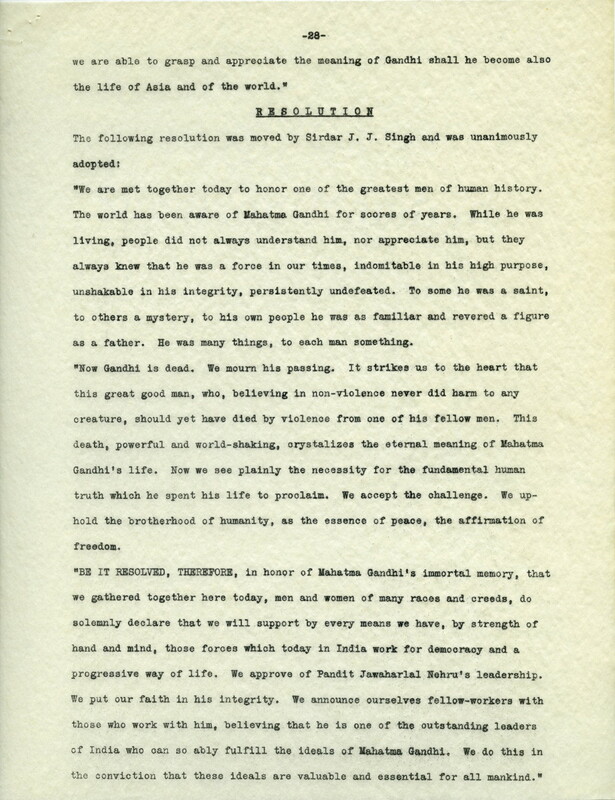 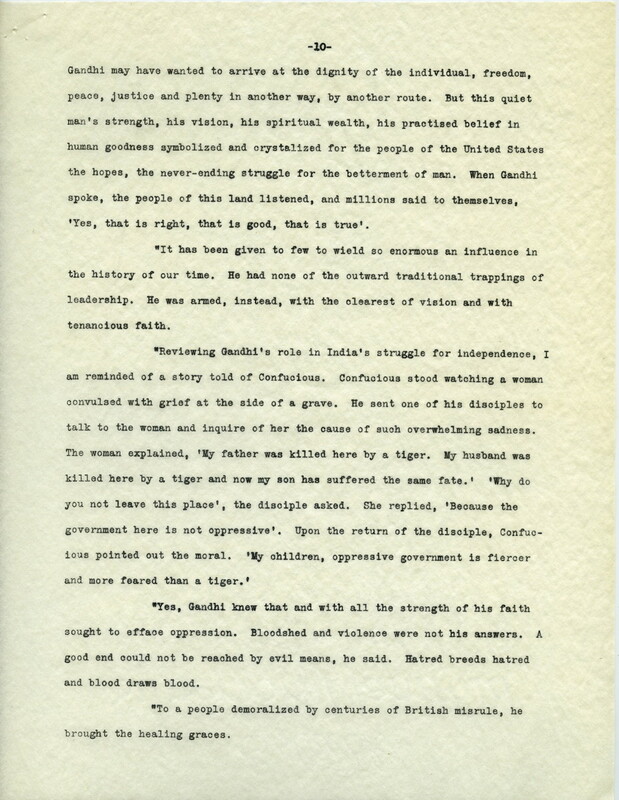 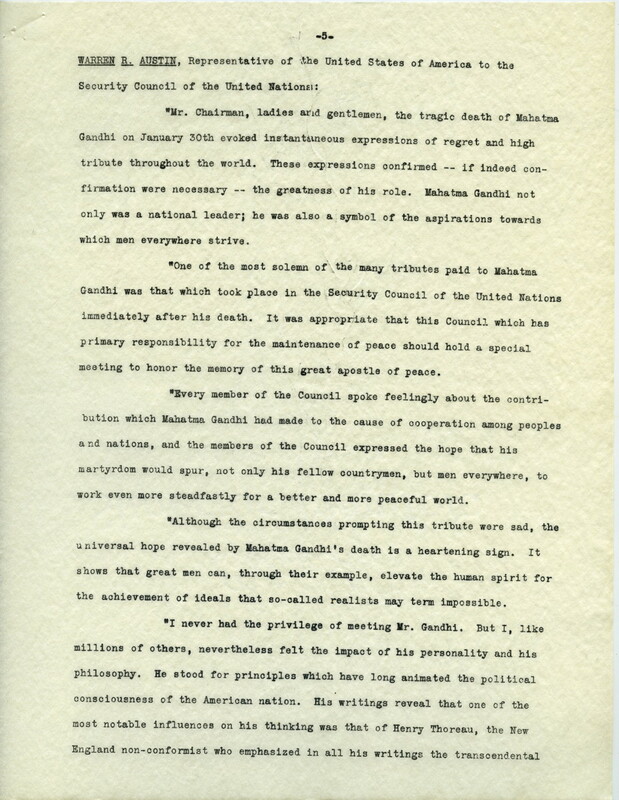 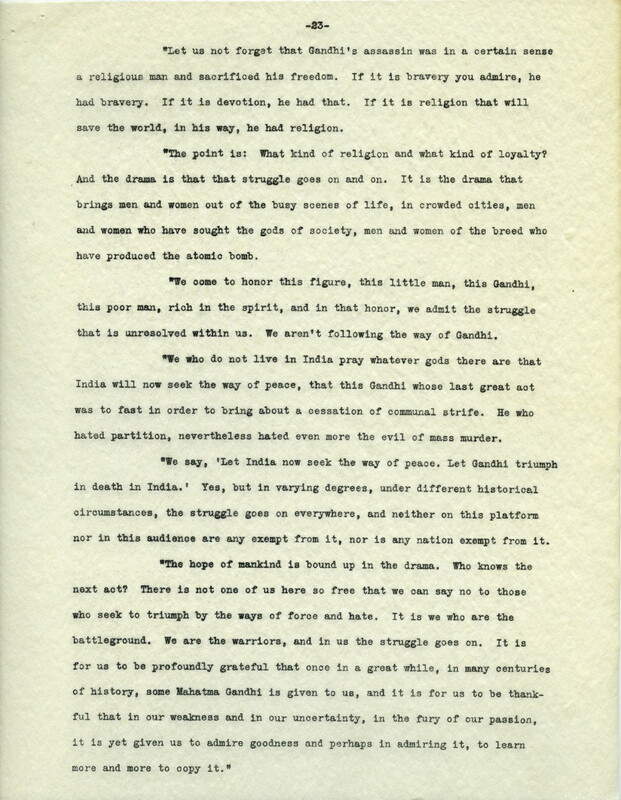 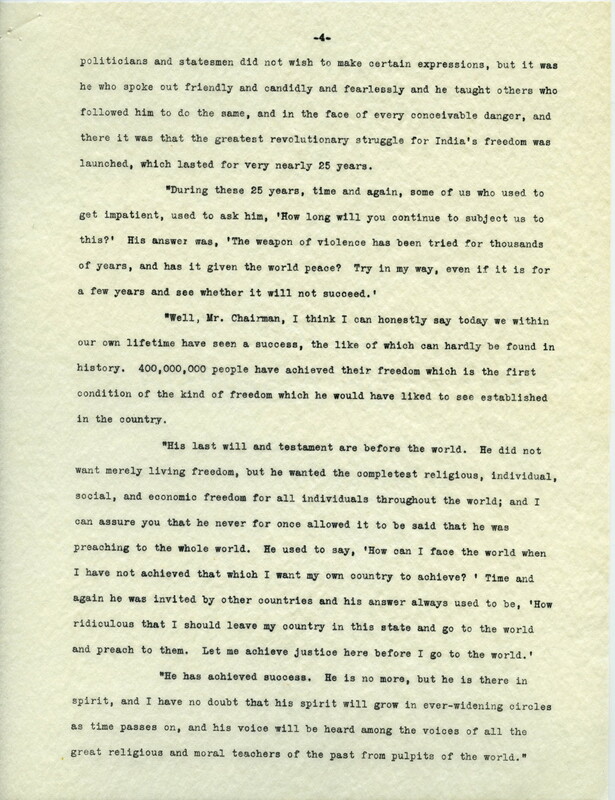 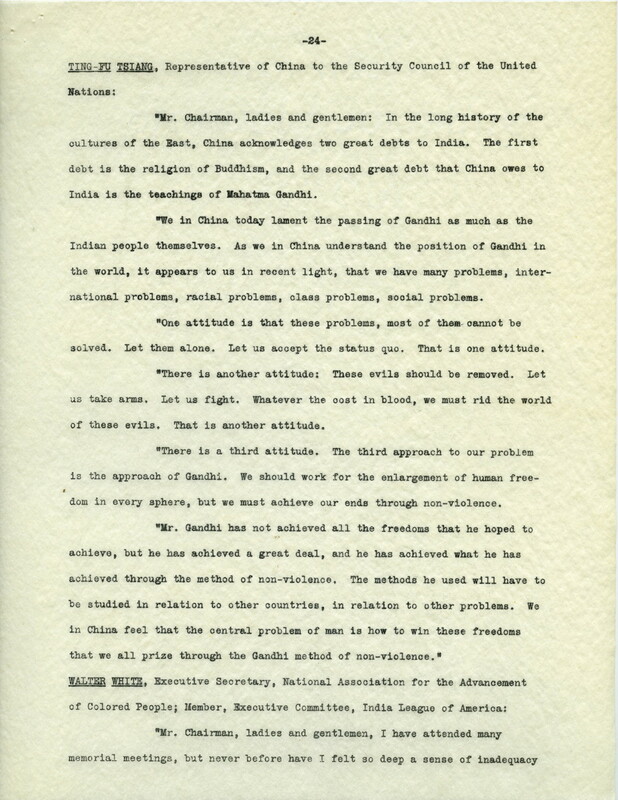 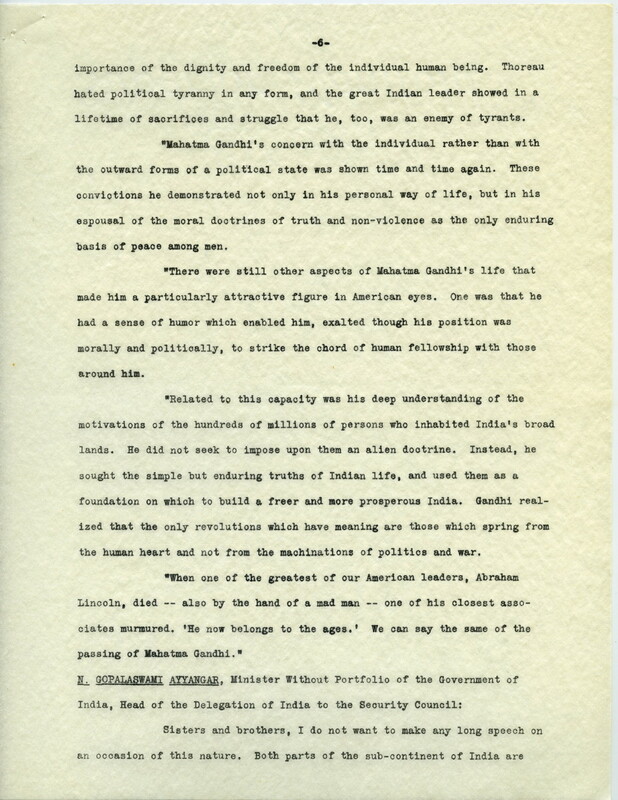 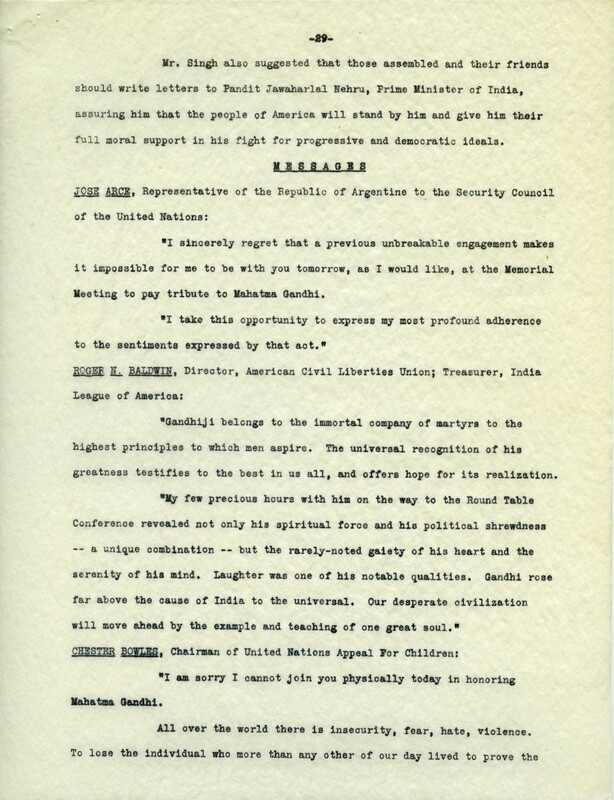 Report on a meeting organized by the India League of America on February 7, 1948, held in honor of Gandhi, who was assassinated that January. 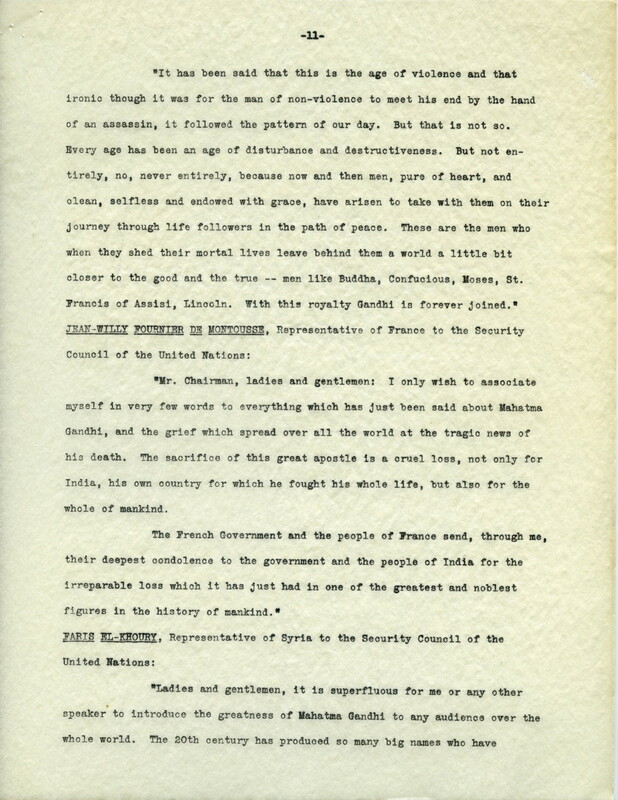 The report contains excerpts from speeches by Sirdar J.J. Singh, Sheikh Mohammad Abdulla, M. Asaf Ali, Warren R. Austin, N. Gopalaswami Ayyangar, Emanuel Celler, Jean-Willy Fournier De Montousse, Faris El-Khoury, Nasrollah Entazam, Mohammed Zafrullah Khan, John Haynes Holmes, M.A. 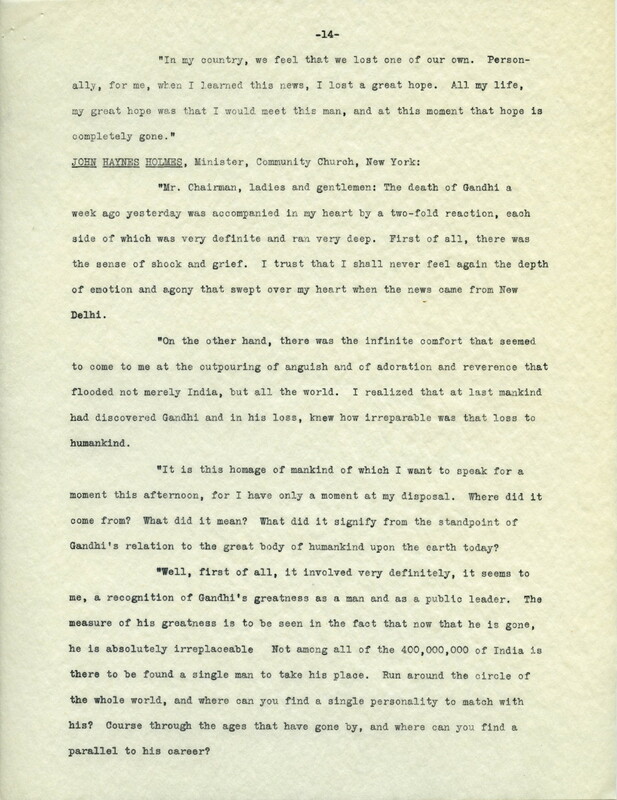 Hassan Isaphani, Frank Kingdon, Charles Malik, A.G.L. 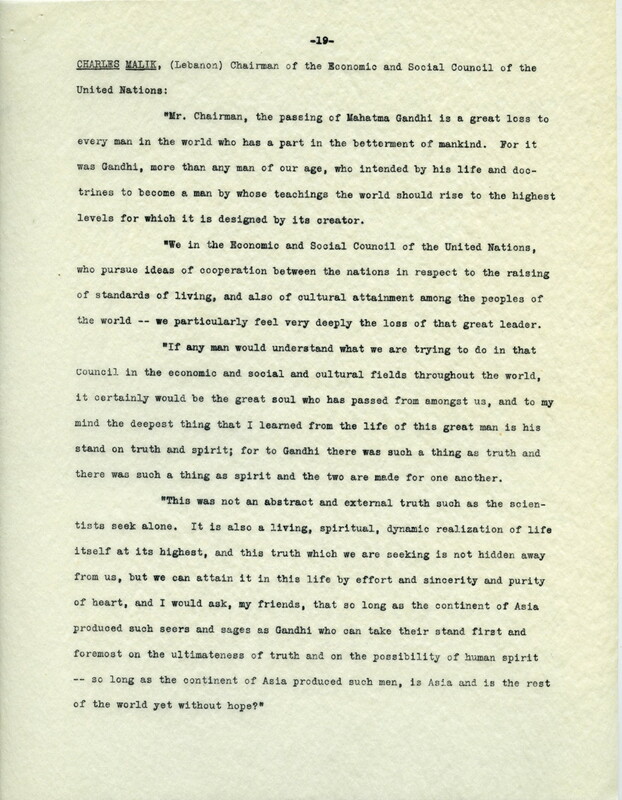 McNaughton, Philip Noel-Baker, Ali Sastroamidjojo, Norman Thomas, Ting-Fu Tsiang, Walter White, and Lin Yutang. 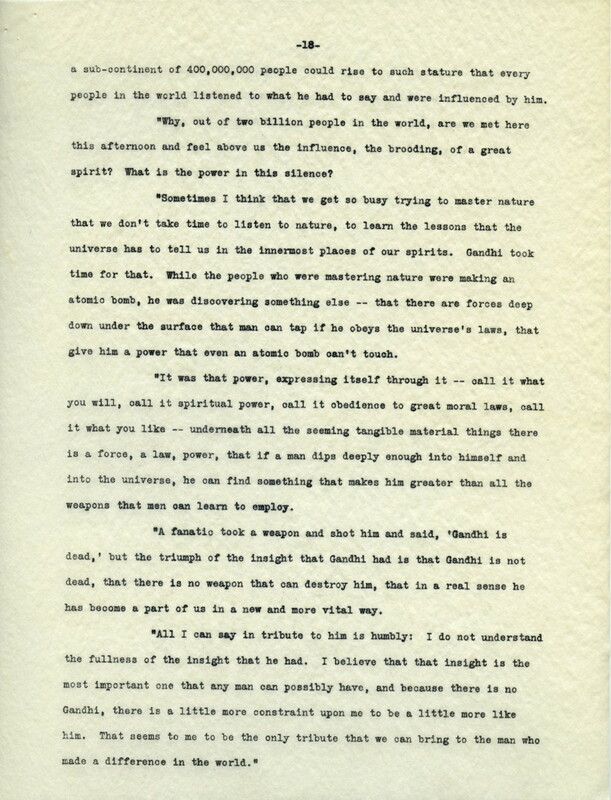 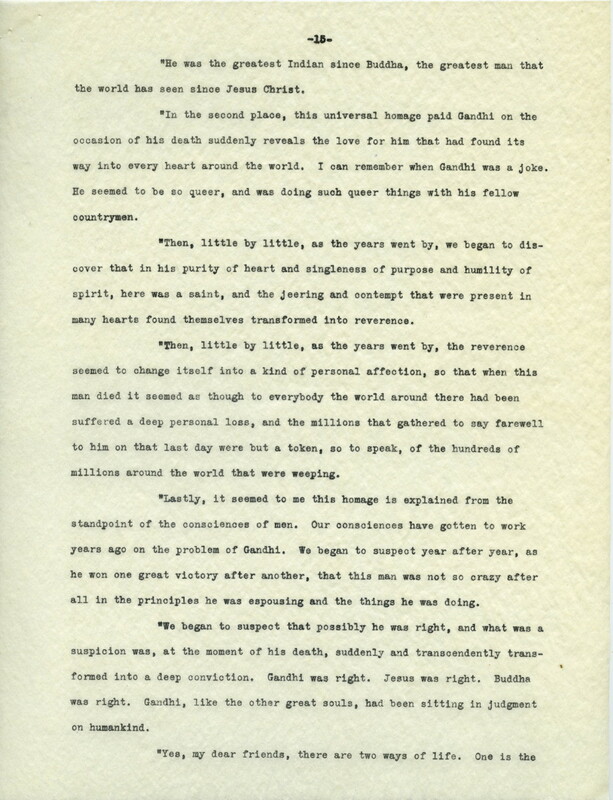 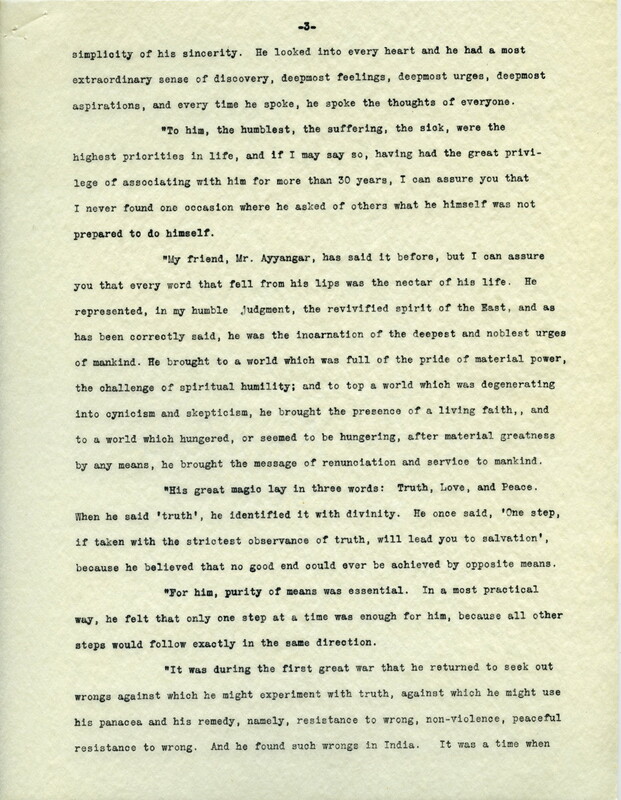 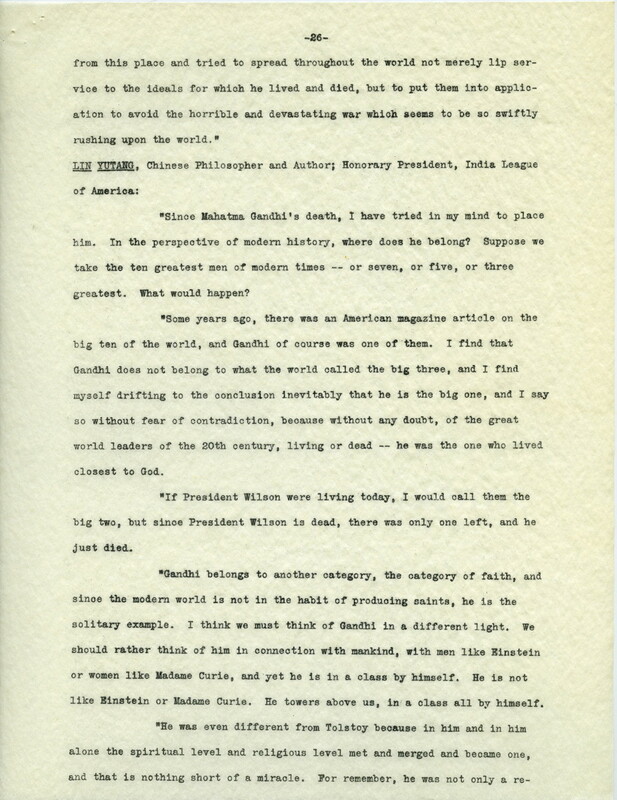 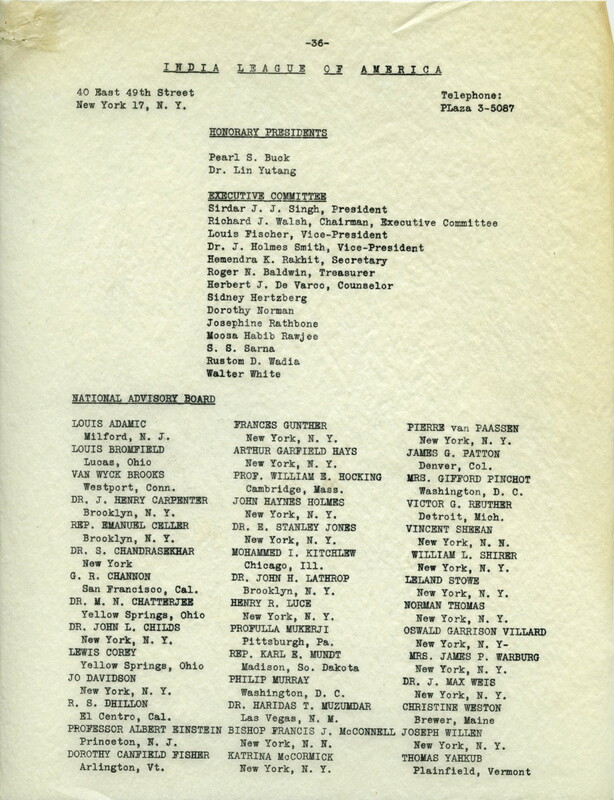 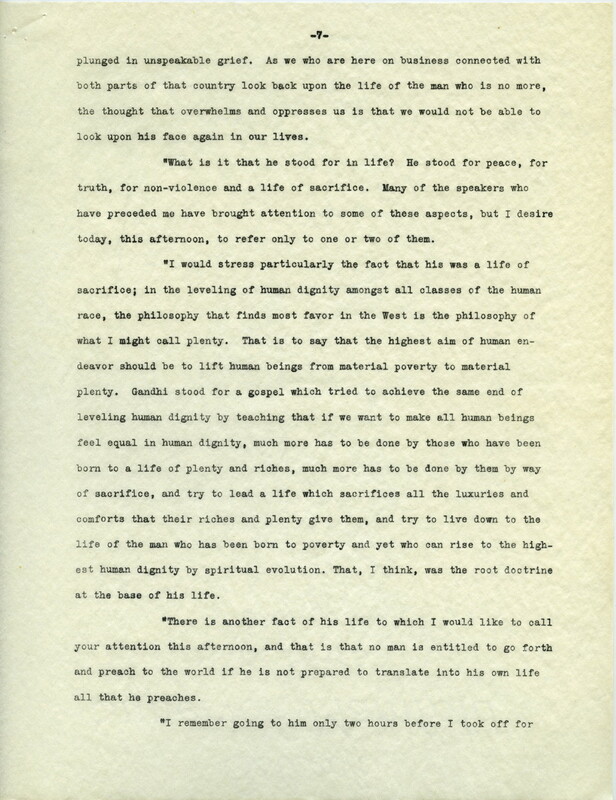 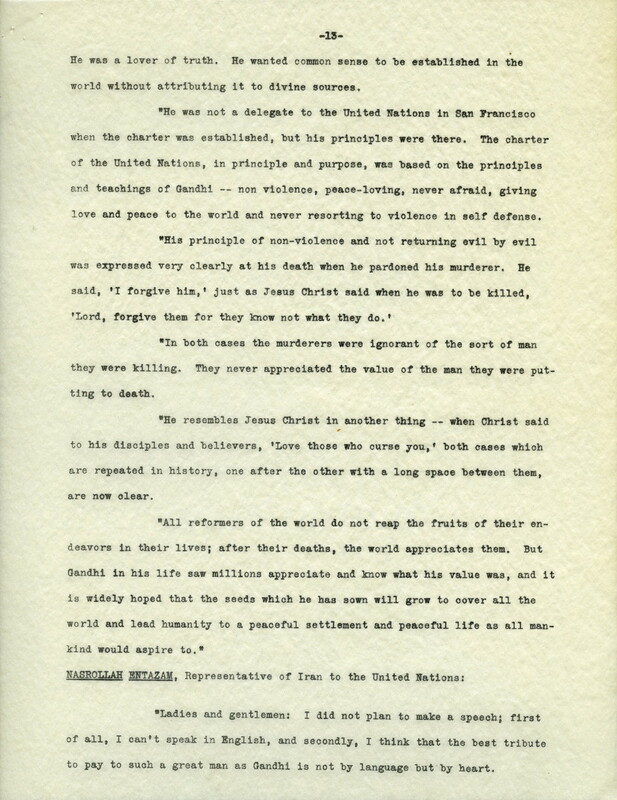 The report also contains messages from Jose Arce, Roger N. Baldwin, Chester Bowles, Lyman Bryson, Pearl S. Buck, Albert Einstein, Louis Fischer, James G. Fulton, Colonel Louis Johnson, Rufus Jones, Trygve Lie, William O'Dwyer, William Phillips, Helen Rogers Reid, Franklin D. Roosevelt, Fernand Van Langehove, Henry A. Wallace, Richard J. Walsh, and Stephen S. Wise.